Can’t believe Chinese New Year is around the corner on the 3rd of February. I won’t be able to go out to celebrate the occassion which is usually held on Sunday because I will be doing a craft show in Stevenage on the 6th but at least I will be going home to my parents to eat and celebrate on the actually day… 3rd February. It is the year of the Rabbit this year. Don’t know anyone born in this year, I was born in the year of the Tiger! Rooooooaaaaaaar! 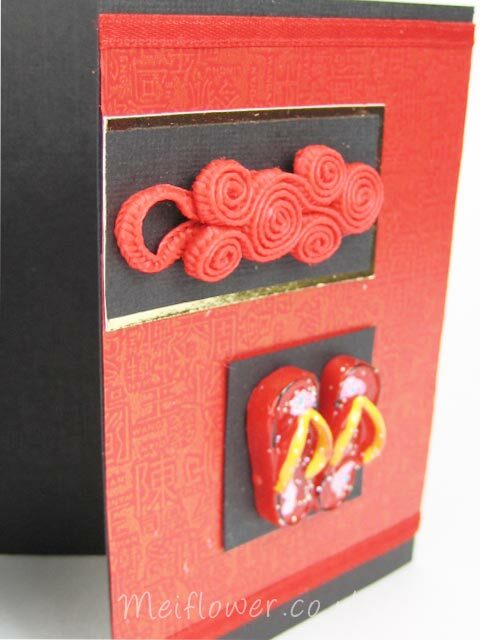 This Oriental card is made on a C6 white base card but you can use red for luck! 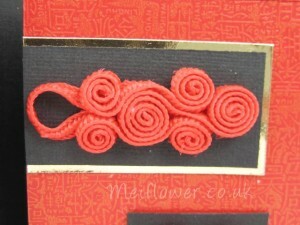 I have gone for the traditional red and gold but added a touch of black for a contemporary feel. 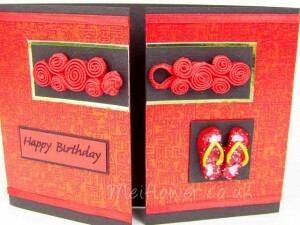 I have covered the top half of the card with a red and gold print Chinese word print paper. 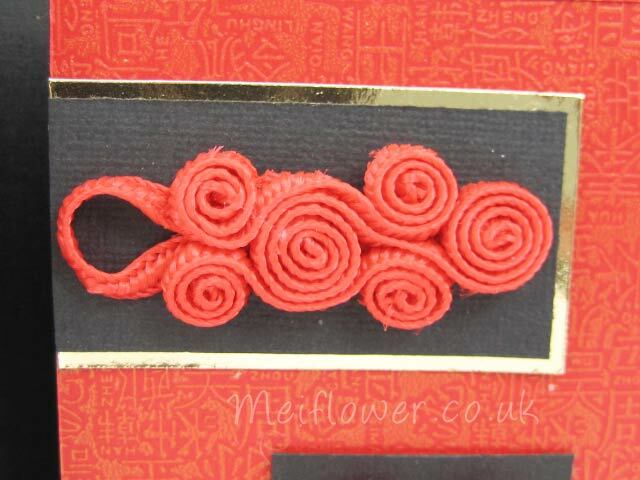 On the bottom edge of the red oriental paper, I have stuck a piece of thin red satin ribbon to go with the oriental feel. 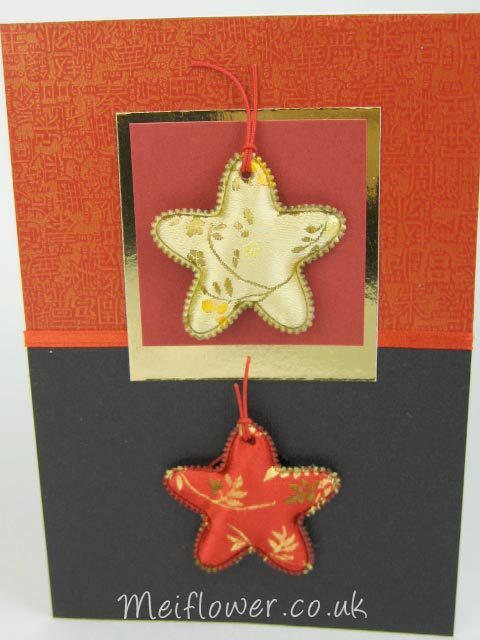 I have looped a piece of red oriental string through the hole of the gold star and mounted it onto a piece of red paper. Layered onto a piece of gold mirror paper. 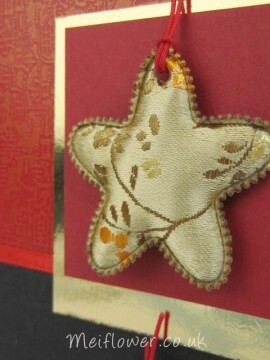 I looped a piece of red oriental string through the red star and stuck the star just below the gold star. This oriental card is a card i made for Create and Craft shopping channel using some of the items from the oriental kit of embellishments. 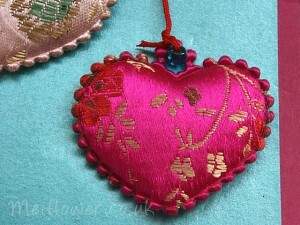 This is another favourite colour i like using for oriental cards – cerise and cyan. 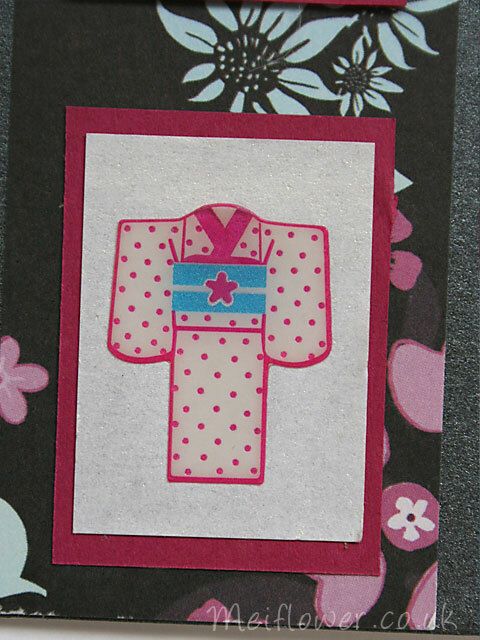 I think it is more Japanese than Chinese but it is still a good way of making oriental cards. 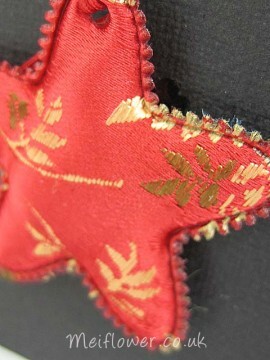 Love the oriental fabric stars, very simple and classic looking. They work well in birthday cards and Christmas cards. 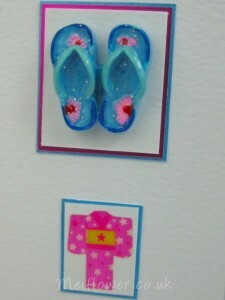 The pattern and colour goes well with the resin flip flop and cute kimono stickers. 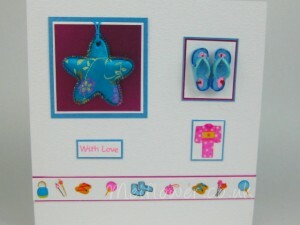 This is another card which was featured on Create and Craft shopping channel. I love using red and black as a colour theme for oriental cards. it looks so sophisticated. 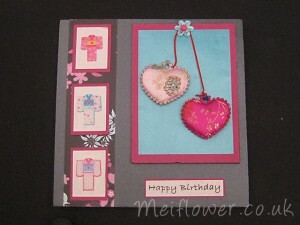 I have sent similar designs to my family for birthdays and they loved the cards. I have used oriental red printed paper on both side of the gate fold and added a strip of red satin ribbon top and bottom of both sides of the gate fold. 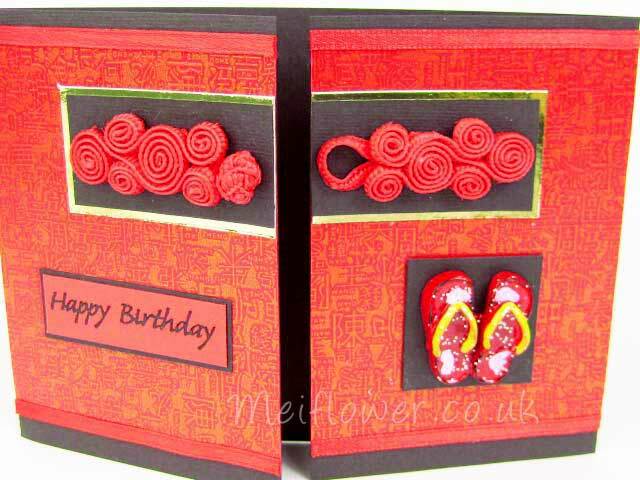 The gorgeous red chinese frogs works well on a gate fold card. It always reminds me of the way you fasten the traditional chinese dresses. I have mounted the frog fastenings onto black and gold card to bring them out from the red backing paper. I have stuck the frog fastening down with some silicone glue. 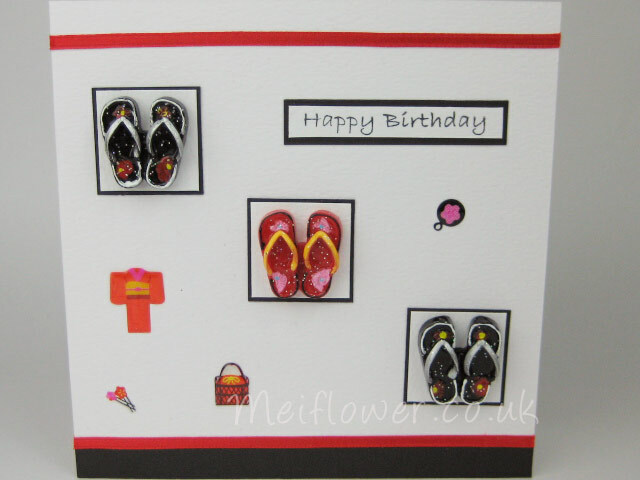 To finish off the card, i have added a cute red resin flip flop to the card. Mounted it onto red and black card, stuck it down with silicone glue. 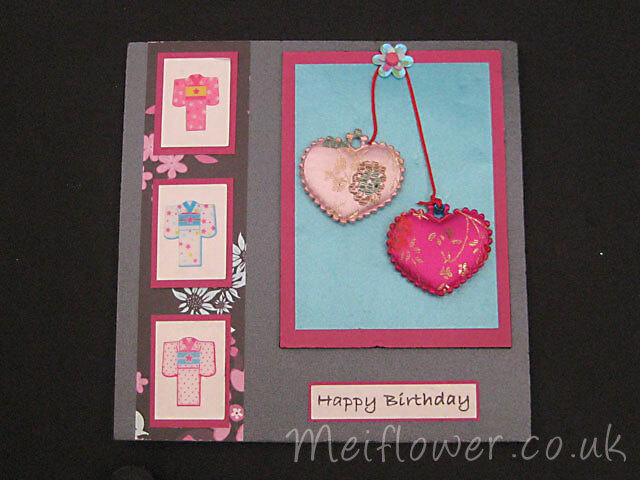 This is a card i made with some of the oriental items from Create and Craft TV. The kit went down a storm, customers loved the kit. 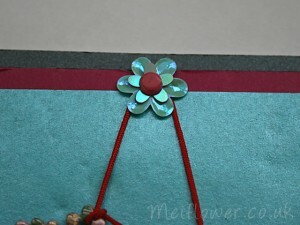 This design is made on a large square white card. A strip of black card added to the bottom of the card. 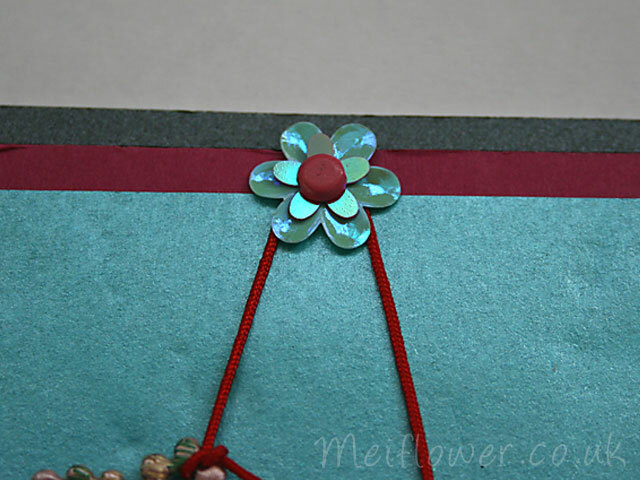 On the top and bottom of the card, a strip of red satin ribbon is added on the design. 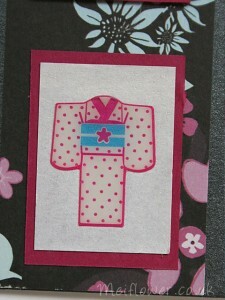 To finish off the card matching red kimono, bag, hair piece and fan stickers has been added. 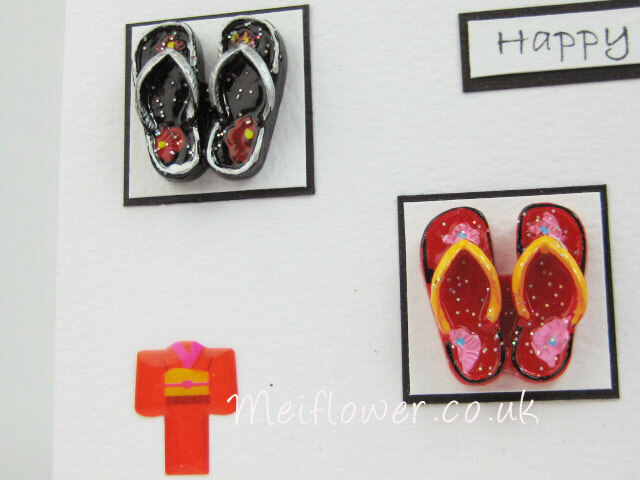 I have mounted the black and red flip flops into black and white squares, slightly bigger than the flip flops. 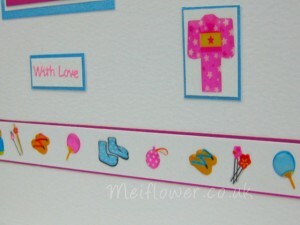 The ‘Happy Birthday’ is a lovely docraft stamp i have had for a while. The red flip flops remind me of a pair of slippers i had when i was a child. My slippers were red spongy base with black straps, pink flowers on the straps. I wanted a pair of heel slippers but my mother would not allow it.